Grantsville senior Isaac Riding sprints toward home plate during Friday’s Region 13 home game against Summit Academy. The Cowboys beat the Bears 19-12 to claim the series victory and remain in first place in the region standings. Grantsville’s Parker Thomas makes a catch in the outfield during Friday’s Region 13 baseball game against Summit Academy in Grantsville. 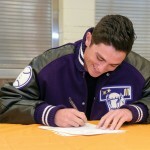 Thomas had a double and three RBIs in the Cowboys’ 19-12 win. 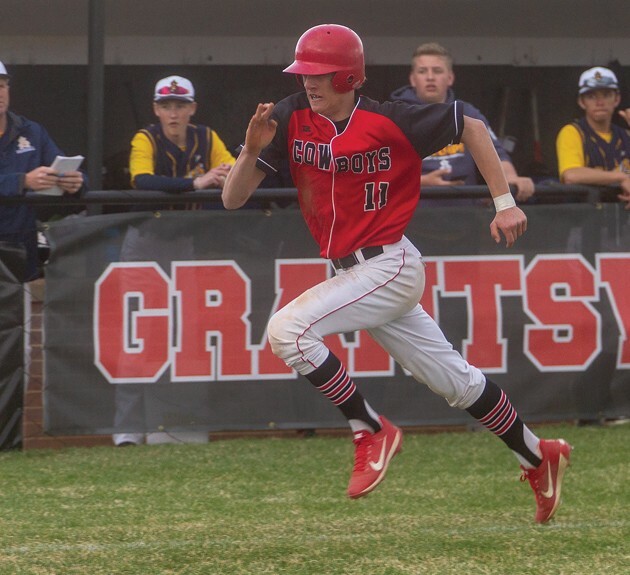 The Grantsville baseball team came into Friday’s Region 13 series finale against Summit Academy looking to recover from a rare bump in the road — a 7-4 loss to the Bears 48 hours earlier in Bluffdale that represented the Cowboys’ first region loss in nearly two years. Their recovery was swift — and impressive. 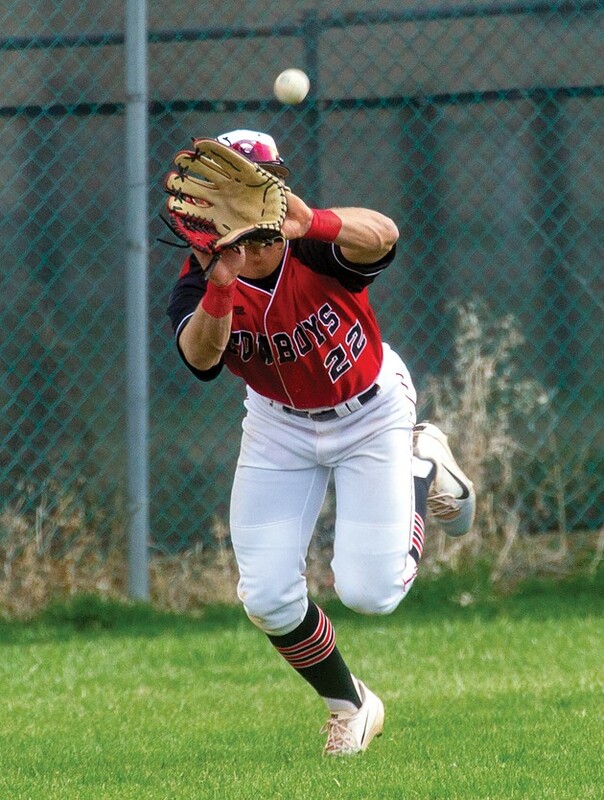 Grantsville erupted for 13 runs in the third inning, turning a 6-5 deficit into a blowout as the Cowboys rolled to a 19-12 win over the Bears in Grantsville to maintain their grip on the top spot in the region standings. The Cowboys (10-6, 3-1 Region 13) took advantage of four Summit Academy errors in the game, leading to six unearned runs. Grantsville’s seniors stepped up in a big way, with Isaac Riding, Chace Gipson and Ethan Merrill combining to go 5-for-10 with 10 RBIs, two doubles, three stolen bases and seven runs scored. Junior Parker Thomas was 1-for-3 with a double, two walks and three RBIs as Grantsville pounded out 12 hits — four of which went for extra bases. Four pitchers saw action on the mound for the Cowboys, with Kaden Lund picking up the win after allowing four runs on one hit with three walks in one inning. Sam Daybell pitched three scoreless innings of two-hit ball with two walks and two strikeouts, while Jackson Sandberg allowed six runs (one earned) on three hits with three walks and two strikeouts in 2 1/3 innings. Taylor Wood allowed two unearned runs on two hits, recording one strikeout and three walks in 2/3 of an inning. Fifteen players saw action in the game for the Cowboys, and Perkins lauded each of their contributions in a key game against a quality opponent. 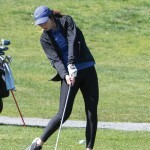 The Cowboys shifted their focus to South Summit, with their series against the Wildcats beginning with a 13-2 Grantsville win on Monday in Kamas. 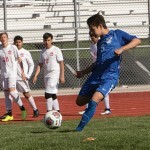 Grantsville was scheduled to face South Summit on Tuesday in Grantsville and in Kamas on Thursday, weather permitting. The Cowboys will wrap up their regular season with series against Judge Memorial (April 16, 17 and 19) and Morgan (April 23, 24 and 26).